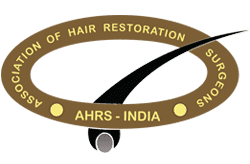 Hair loss is of various types, and in order to treat any one of them, it is important to understand which type it is first. 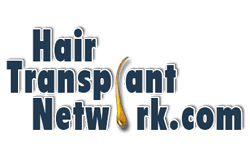 Frontal fibrosing alopecia is one of the types of scarring or cicatricial alopecia.A rare condition affecting mostly women in the menopausal or post-menopausal age group, it can lead to them losing a few inches of their hairline. In most cases of frontal fibrosing alopecia or FFA, the scalp will seem normal, although there might be paleness. In many cases, there is also scarring on the scalp, which does not fade away with time. The condition presents itself in the form of a band, which is not wide, but does develop atrophy over time. This is a type of primary cicatricial alopecia, in which the hair loss occurs in a pattern along the front part of the hairline. In many cases, the progression is so rapid and extensive that there is a loss of eyebrows too. The condition is often considered to be a variation oflichen planus of the scalp and there can be associated lichen planus lesions on the skin and mucous membrane in some of these patients. While the exact cause of the condition is still unknown, it has been observed that it affects women who are above fifty five years of age. 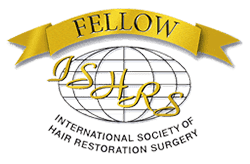 Studies have shown that one possible reason for FFA could be a disturbance in the response of the immune system of the body to the hair follicles. Yet another study has shown the possibility that the hair loss could be caused due to fluctuations in the hormonal system of the body. While the condition might have existed for several years, as a clinical entity, the condition received recognition only in the early 1990s. As a matter of fact, it was in 1994 that the condition was first described by Dr. Steven Kossards, in great detail. His initial studies described the condition in six women, who were in the later part of their lives. Several studies followed and many cases have been further reported. If one were to look at this condition histologically, then, the condition is often characterised by a dense infiltration of lymphocytic bodies. These are most prominent around specific regions of the hair follicles, namely the isthmus, the infundibulum and the bulge. 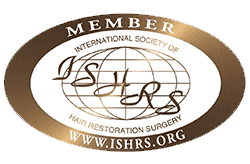 There is inflammation that leads to the irreparable destruction of the hair follicles,with loss of the sebaceous glands and what remains are scar tissues due to fibrosis. Studies showed that most of the women who were affected were in the post menopausal age group or approaching their menopause.There have been rare cases of the condition being reported in women who are below 40 years of age and in men. The histopathology of FFA is similar to lichen planopilaris and the manner in which it presents is also similar. While in most cases, the FFA develops in women who already are presenting characteristics of androgenetic alopecia, it can appear otherwise as well. The onset of this condition can also happen, well past the ages that have already been discussed. 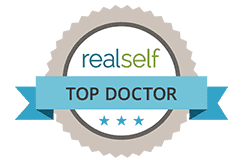 Given that both conditions tend to respond to a course of Minoxidil, there is still doubt whether the hormones involved in both conditions are similar. However, there is a general consensus that regional factors might be involved. Environmental factors like certain toxins can also act as a trigger for this condition. The characteristic pattern of alopecia and the age group can help the doctor to clinch the diagnosis. However to confirm the same, and also in rare presentations, a scalp biopsy is advised. Histopathology is similar to lichen planopilaris characterised by the presence of lymphocytic infiltratearound the isthmus as well as the infundibular regions. There is follicular hyperkeratosis and in the later stages, hair follicles may be replaced by fibrous tracts.  There is a band like alopecia, which is most obviously visible in the front part of the scalp. The band can spread and affect even the eyebrows.  In certain cases, there is a slight itch, but in most cases, there are no such indications.  The scalp portions that have been affected will seem shiny and pale due to atrophy and scarring of the underlying tissues.  There could be thinning of the eyebrows due to loss of eyebrow hair. There could be thinning of hair on other parts of the body like as well. In the next article, we will continue to look at other aspects of frontal fibrosing alopecia, including differential diagnosis and treatments. How to take care of hair of your children?